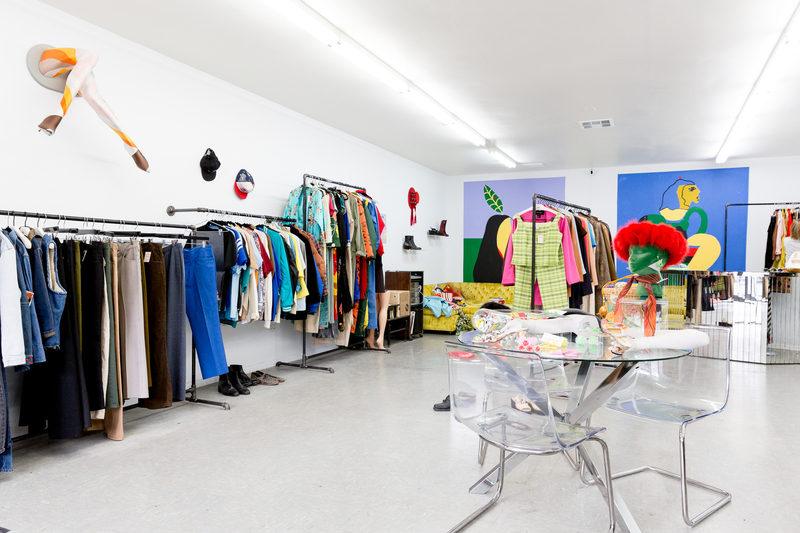 Babes on Legs is located in Virgil Village, Los Angeles. 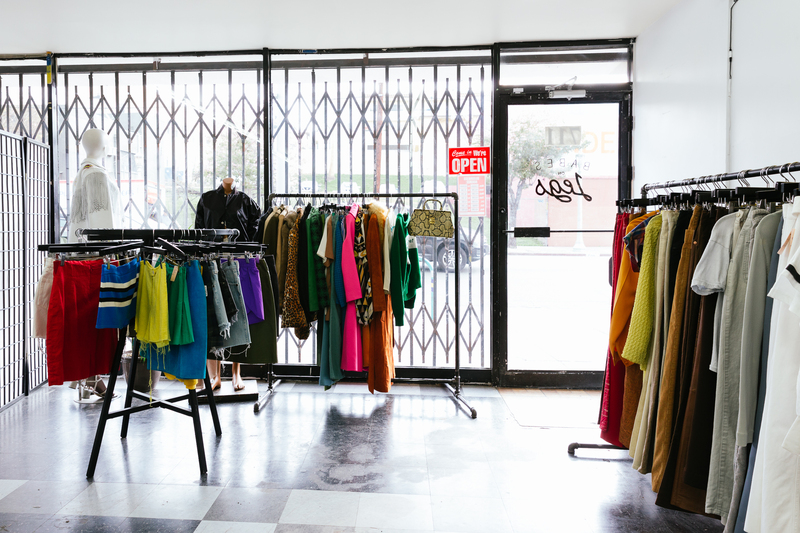 Located next to trendy food destinations Sqirl and Melody, the store features bold styles from the 1950s-Current with a unique, modern outlook on fashion. 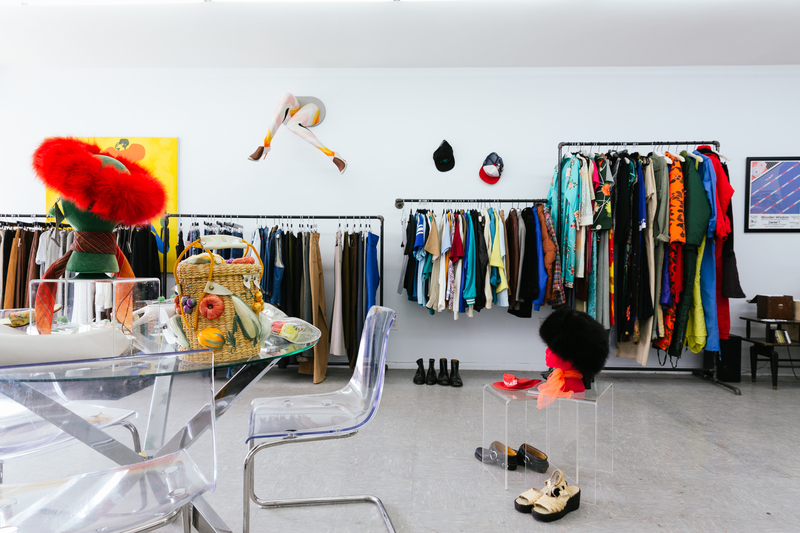 Babes on Legs started out as a selection of wild, one-of-a-kind pieces and has evolved ever since. The collection first launched in 2013 online as an Etsy shop, then started appearing as a popup at the Melrose Trading Post and Rose Bowl Flea Market. 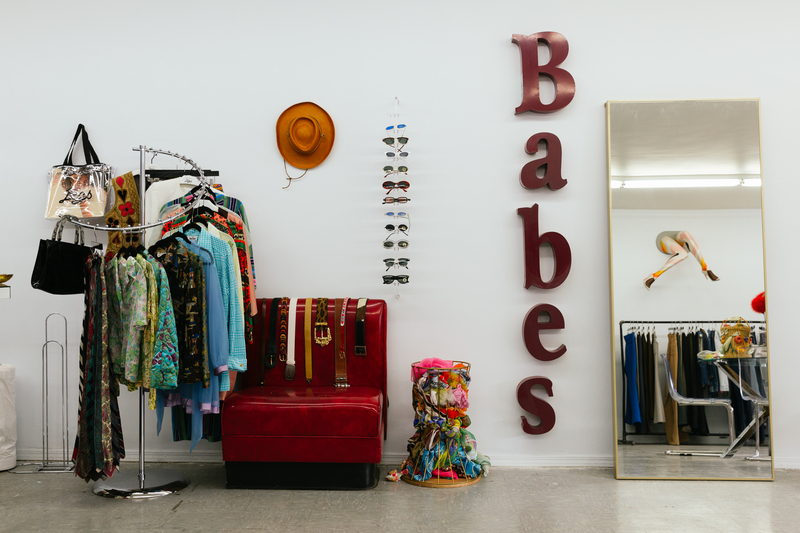 Since its initial debut, Babes on Legs has developed a cult following of tastemakers. Recently, a Babes on Legs logo jacket was spotted at New York Fashion Week and featured as street style in Nylon. Monday: Closed Tuesday-Friday from 11am-5pm, Saturday-Sunday from 12pm-6pm.